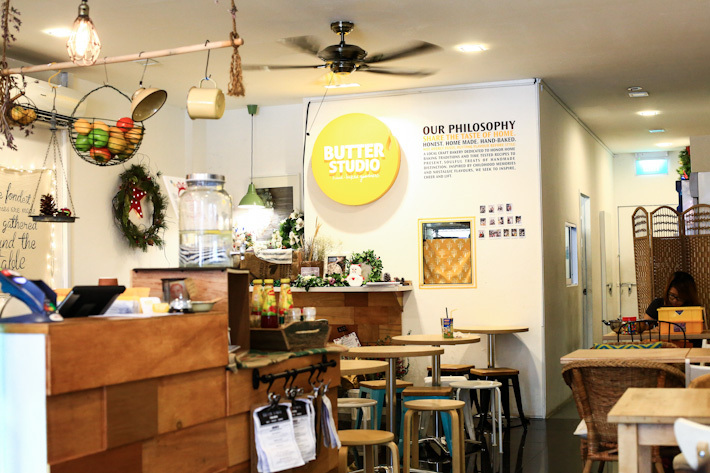 Cafes are aplenty at Jalan Besar and many of these F&B establishments are notable and rank as one of the best in Singapore. 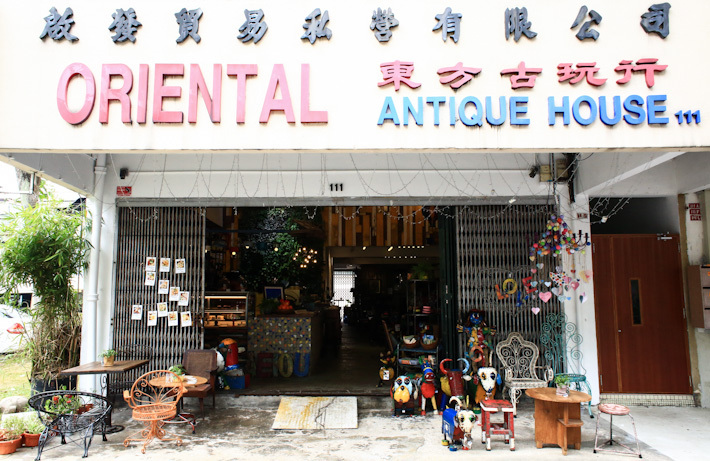 What’s especially popular in this neighbourhood are the cafes who have reconstructed old shophouses into a spanking new cafe space, while still retaining a big part of the vintage and rustic interior and nature. Besides cafes, Jalan Besar also offers a variety of restaurants, pastry shops and dessert places. 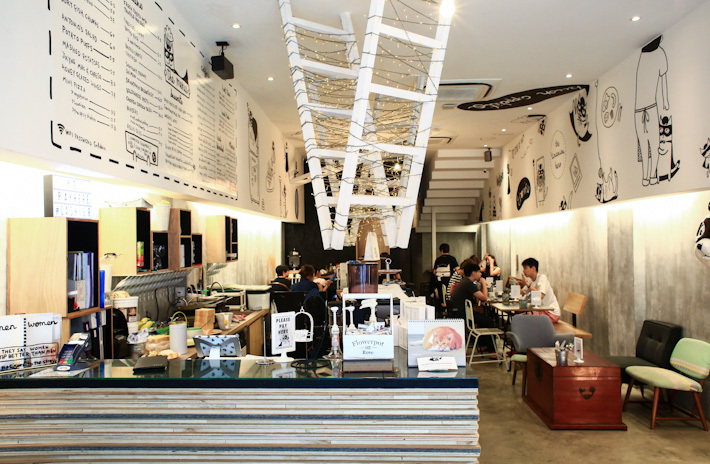 This is your Guide to Jalan Besar’s Cafes & Restaurants. 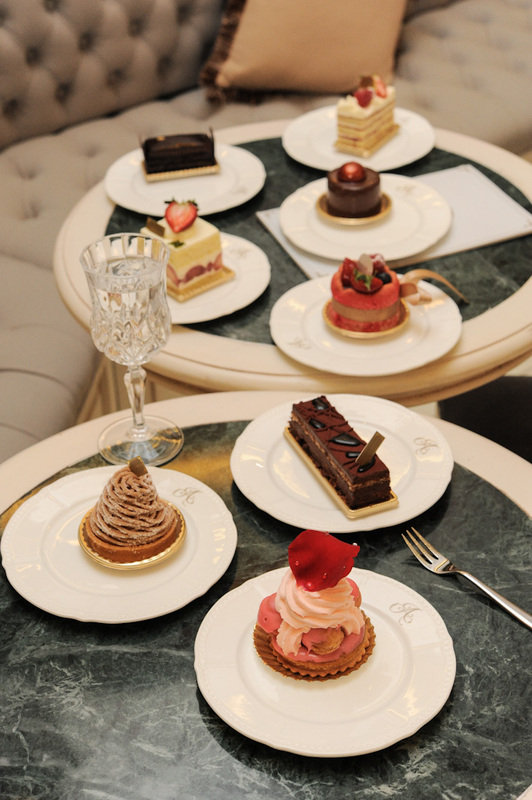 French-inspired patisserie, Antoinette, is known most commonly by their beautiful and decadent desserts. The stylish and regal interior of their Penhas outlet beckons as a perfect afternoon tea or Sunday brunch spot. Butter Studio’s Salted Nutella Tart is also listed in our guide to Singapore’s best desserts. Mileslife is our favourite app to accumulate miles through everyday spending. You can earn 2 miles for every dollar spent at this restaurant. Download and try Mileslife out now! You can use our code ‘Ladyironchef‘ upon your first spending to get 1,000 miles. 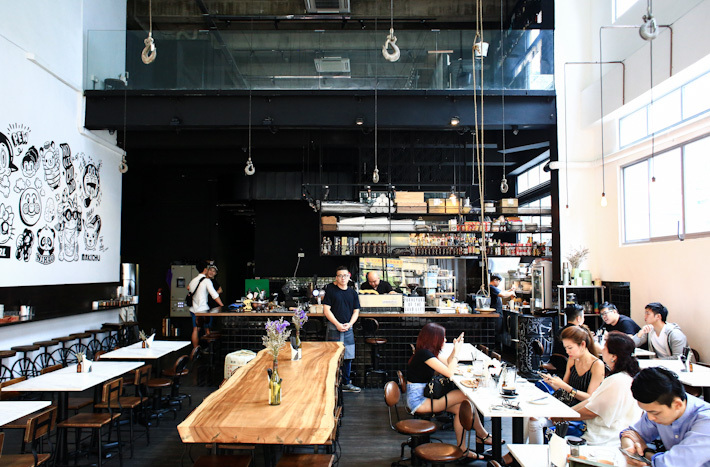 Keeping the name of the hardware store that they took over, Chye Seng Huat Hardware possesses a modern-industrial style interior, specialising in unique blends of coffee and an exciting all-day-breakfast menu. Cold brew coffees are also available here. The Refinery is a triple concept space that consists of a Yakitori kitchen, a bespoke cocktail bar and a designer workspace area. Munch on delicious a la minute grilled yakitori items while sipping on a pint of beer or a cocktail of choice. Pancake lovers rejoice because The Bravery serves possibly the tastiest and fluffiest pancakes around. The Pancakes Stack (S$15) features a triple stack of fluffy pancakes, caramelized bananas, a dollop of ricotta cheese and drizzled with golden syrup. Be sure to get their signature Lavender Latte (S$5.50) too! Aptly named so, The Tiramisu Hero serves one of the best Tiramisu-in-a-jar in Singapore. Other dishes offered here includes savoury pasta dishes and a range of other sweet desserts, but we suggest going right for their signature Mommahero (S$7.50) tiramisu as it can do no wrong. The Tiramisu Hero’s Tiramisu is also listed in our guide to Singapore’s best tiramisu. 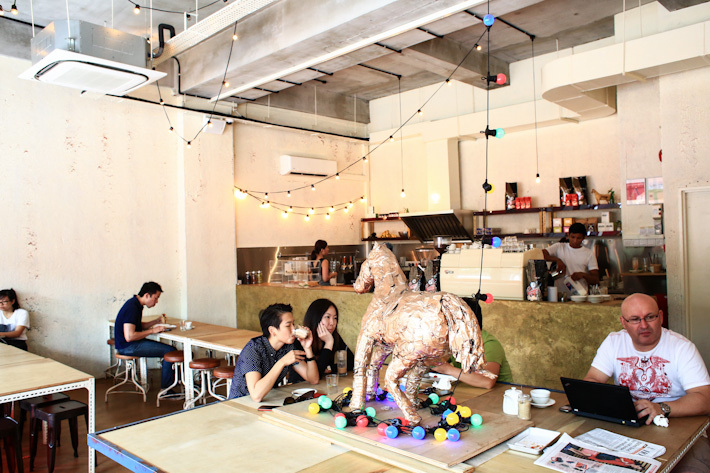 Opened late last year, Two Bakers is one of the newer faces in Jalan Besar’s cafe scene. The two chefs here are Le Cordon Bleu Paris-trained so you can be sure that their food here is of standard. The YTB or Tau Yu Bak (S$13.80) pull pork sandwich topped with fried egg, is a popular choice there. You forgot The 1925 Microbrewery & Restaurant too…. The 1925 Microbrewery & Restaurant! The restaurant has such an authentic rustic industrial decor and certainly represent jalan besar with its unfinished look! I love the food there especially their chicken skewers and they have also a very good tiramisu though its a brewery. Their beers arent too bad either. Cocotte has the worst service EVER!!! Complained about their popular chicken that’s uncooked and wanted to speak to the chef but according to the Filipino waitress, he will not get out of kitchen unless there’s a compliment. She looks like she’s so scared of him and pleaded me not to tell him. What is he? A tyrant? Why is she so afraid of him? If he can’t handle a complain, then he is a coward in my opinion!! Dont waste your money eating there. It’s not worth it!!! there is a new place, the.twenty.cavan at 20 cavan road, chinese inspired menu, good value food.